Samvinna: MPM nemendur við HR, Ósk Sigurðardóttir iðjuþjálfi við BUL. Endurgerður garður við BUGL, Barna og unglingageðdeild Landspítala Háskólasjúkrahús. Garðurinn er sá fyrsti sem gerður er sem heilsu og meðferðargarður fyrir börn og unglinga á Íslandi. Lögð var rík áhersla á að móta umhverfi í samræmi við heilsu og getu einstaklinga, þannig að umhverfið hafi holl og nærandi áhrif, bæði andlega og líkamlega. 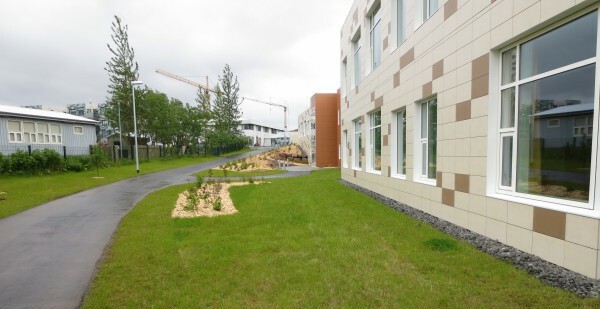 Garðurinn býður m.a. upp á margbreytilega hreyfingu, frjálsa leiki og boltaleiki. Dvalarsvæði bjóða uppá samstarf, hópmeðferð eða bara að snæða nestið sitt. Kyrrðarlundurinn fyrir rólegheit er mjög vinsæll, þak með léttu segli eykur á rýmismyndun. 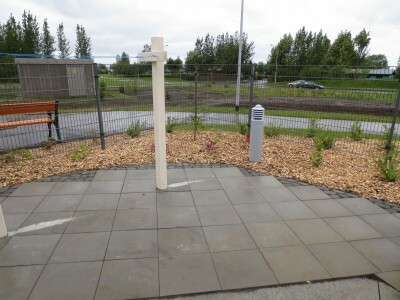 Plantað var runnum með mismunandi blómgunartíma, berjarunnum og ávaxtatrjám. Komið var fyrir fuglahúsi og fæðubretti ásamt því að stórum náttúrusteinum var fundinn staður. Náttúrulegt efni var notað eins og kostur var og húsgögnin frá verndaða vinnustaðnum Ásgarði passa skemmtilega í garðinn. 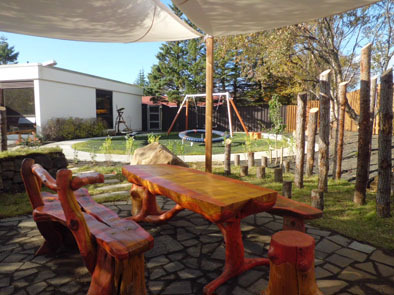 English: Landscape design, health- and treatment garden at BUGL, Child and Adolescent Psychiatric Department. BUGL receives children up to 18 years old who deal with mental health issues. 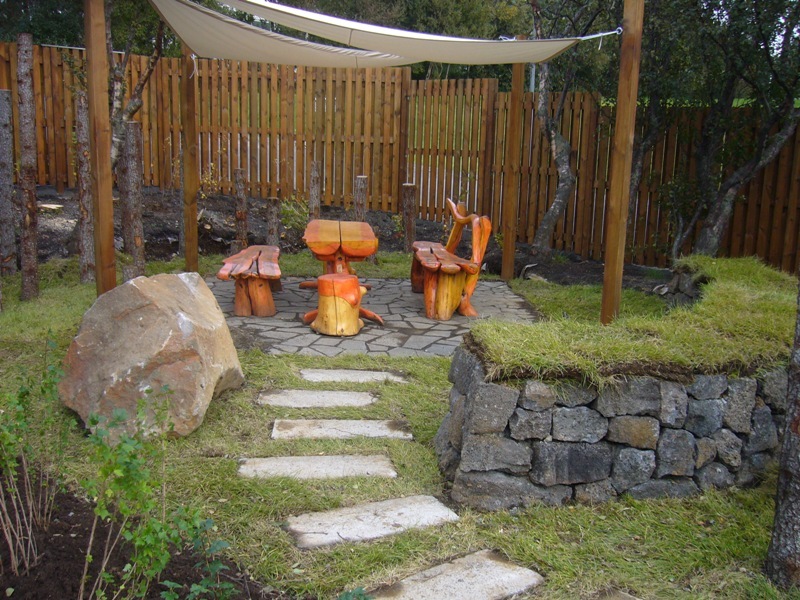 The garden is the first health garden special designed for children and adolescents in Iceland. The main goal was creating nourishing environment, mentally as well as physically. The garden gives possibility for different movement, free games and ball playing. 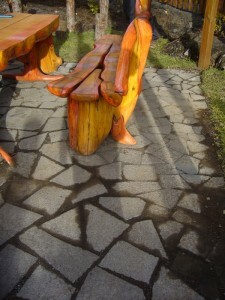 There are sitting areas for group therapy and togetherness as well as quiet grove for individuals and solitude. Pants with different colors, blooming time, berries and texture were planted, bird house and natural stones found their place. Natural material where used as much as possible. Hjúrkrunnarheimilið í Mosfellsbæ var opnað formlega 27. júní 2013. Heimilið hefur hlotið nafnið Hamrar. Við dvalarheimilið er nokkuð stór garður. Unnið var með gönguleiðir og gróður ásamt tengingum út í aðliggjandi svæði. 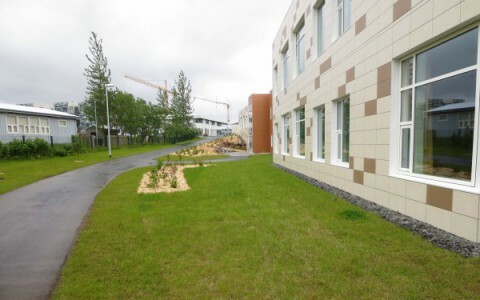 Við bygginguna er komið fyrir dvalarsvæðum fyrir íbúa og á lóðinni er aflokaður dvalargarður, sérstaklega ætlaður heimilisfólki á lokaðri deild. 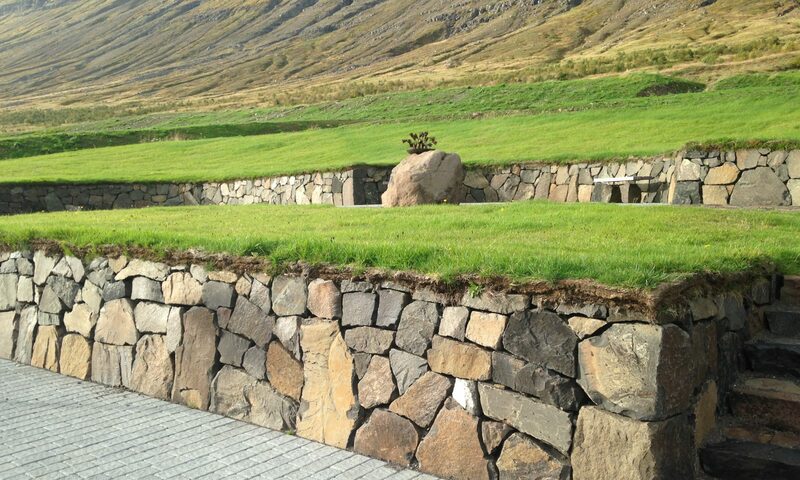 Garðurinn er einfaldur og þægilegur, með upphækkuð beð, bekki og snúrustaura. Aðkomusvæði og bílastæði voru hönnuð með aðkomu allra í huga. English: Landscape design, a nursing home for the elderly. The ground is relatively spaces. 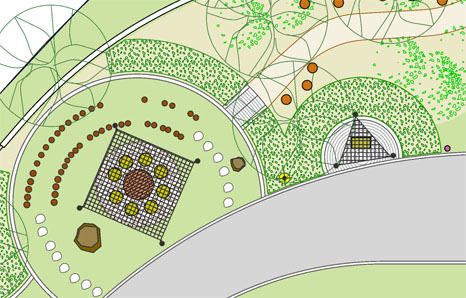 Here we worked with walking paths and vegetation, connections to the surroundings and special sitting areas. 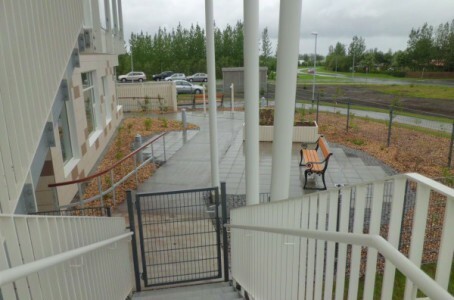 On the site is also a special garden intended for residents of a closed ward. This garden has simple, easy walk ways, raised vegetation beds and clotheslines. 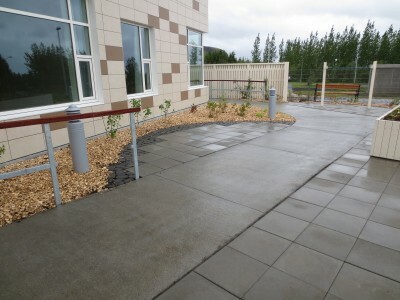 The entrance areas and parking are designed with Universal design in mind as well as the whole site.